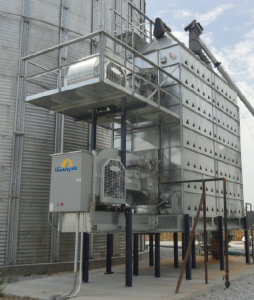 The Genesys Grain Dryer is a product of Three Years of extensive research by the University of Missouri Engineering Department. The University studied the design and materials of all the dryers currently on the market. Utilizing Finite Analysis they designed a product with enhanced structural integrity for added longevity. 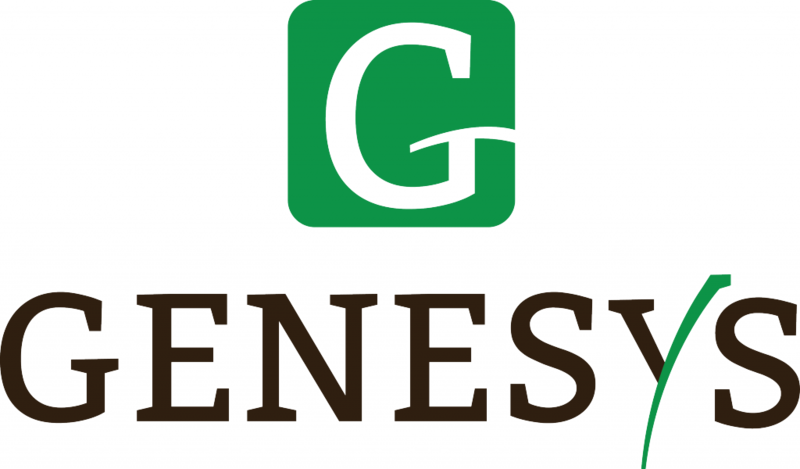 The Genesys has Six Gear driven gates in place of the flow rollers and utilizes an en-mass chain conveyor for unloading, reducing the possibility for damage and allowing for incline loading into the bucket elevator boot section. Options include a screen package for the outside to limit the exhaust of foreign material into the environment. This state of the art control package provides the information necessary to properly dry a wide variety of grains. The system begins with monitoring the volume of product that is introduced into the dryer. With the volume determined the system then measures the moisture content of the incoming product with sensors located at the Dryers inlet. Each type of material being dried has a specific parameters predetermined within the PLC interfacing and receive a 0-100% moisture content signal from the analyzer. Surface moisture will have little impact as this is a microwave system that fully penetrates the material, giving accurate grain condition. With the volume and moisture confirmed the controller confirms the burners are lit and blowers are started. The controller monitors the BTU output of each of the burners and the CFM of each of the blowers. A moisture and temperature monitor in the center of the dryer sends pertinent information the controller. The controller uses this information to adjust the BTU of the burner and the CFM of the blower to insure the most efficient drying. As the product runs through the dryer it gets to the bottom and the product is tested for both temperature and moisture. This information is sent to the controller that then determines if the product is cleared to exit the dryer. There are six gates each independently operated, that open or close allowing the product to exit the dryer insuring the grain is at the proper condition. A volume monitor at the discharge will send information back to the controller confirming the conveyor is unloading the dryer and at what capacity. To insure the dryer is operating properly the trouble shooting system continuously inspects the equipment. It will be checking incoming volume, CFM the blower, amperage of the blower motor, BTU output of the burner, bearing temperature, temperature and moisture of the exiting product as well as the volume. All of this information is relayed back to controller that will automatically alert the operator and the authorized Dealer. The entire dryer and system is monitored via satellite connected to the Internet where it is and monitored for operation and maintenance.